Navratan literally translates to the nine jewels but the product we have for you here is nothing less than a jewel in itself! A mixture unlike any other, Navratan takes your taste buds for a joyride in a burst of different flavors and textures, which the different ingredients give it! 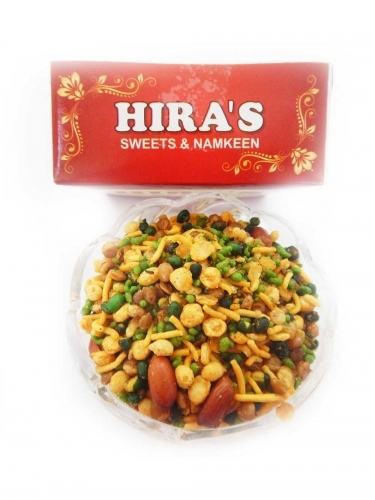 Even though Navratan mixtures are available throughout the country, this one is a little special because it is made by the famous Hira Sweets which is located in the Shahdara area. Hira sweets might be located in a busy Delhi locality but FoodFeasta.com brings it to your house, no matter where you live! Just buy it online from our website -and treat yourself to this fantastic snack!